Italy’s famed Amalfi Coast is home to many cultural, religious and stunning architectural stylings; it is often times difficult to pick out one thing to focus on while traveling here. Recently I had the wonderful opportunity to tour through the Gardens of Villa Cimbrone. Villa Cimbrone is located in the beautiful town of Ravello. Ravello is located higher up the hillside of the Amalfi Coast between Amalfi and Maiori, Italy. I have to admit to a strong pull and fondness for Ravello as it is where my wedding took place in 2016. Most people who travel to the Amalfi Coast know of Positano. It’s been in countless films, tv shows it is featured in music, music videos and so much has been written about it that you might think Positano is “the” it place of the Coast. But I encourage you to drive up and down the coast and experience the differences of all the small towns starting from Sorrento all the way to Salerno. To me Ravello is quite unique in it’s own way, the town has found it’s own voice among the loud chorus’s of Amalfi, Positano and Sorrento. I find Ravello to be a bit more sophisticated in it’s styling, people and it’s overall feel. Perhaps it’s because it truly embraces “Vivere il buon vivere”, Living the Good Life. Also, home to the annual Summer Festival called Ravello Festival that showcases Classical Music, Films, Literature and other Arts. It is the sophisticated vibe of this festival that lives all year long in Ravello. 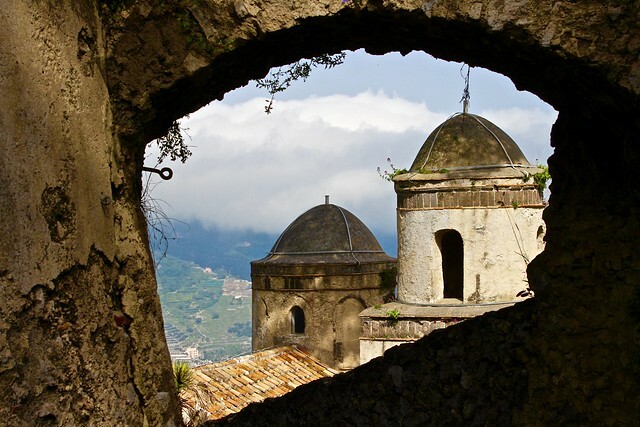 You will find History abounds throughout Ravello. Founded in the Fifth Century you will find Amazing Palaces, Villa’s, Squares and Churches in and around Ravello. One of the most famous Villa’s in Ravello today is Villa Cimbrone. The “Cimbrone” name recalls the ancient name of the rocky promontory Cimbronium where stood the ruins of a Roman villa, transformed into a large farmhouse and was once the residence of Acconciagioco noble family and later of Fusco and Friends. 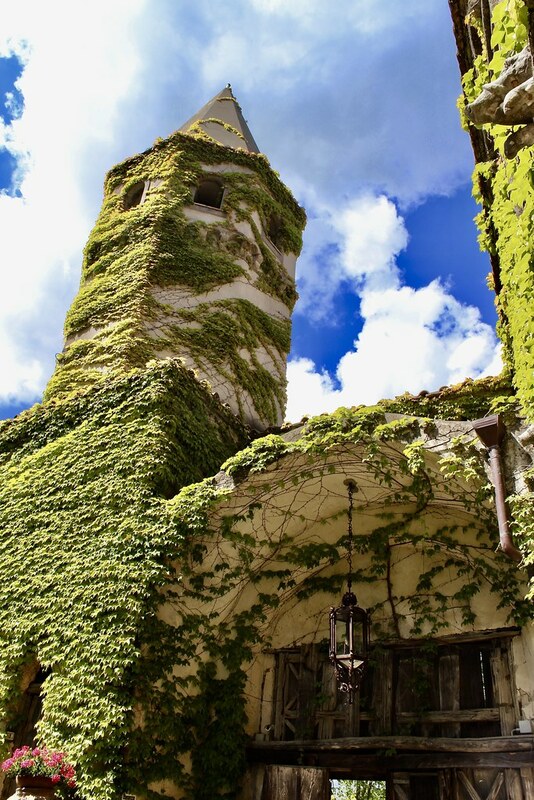 Only in 1904 the whole property was bought by a noble British banker, Ernest William Beckett, who radically transformed both the villa, and the Gardens, they had long been abandoned. The Villa and Gardens were once again restored with architectural elements and neoclassical Gothic styling and mediating between the wild style botanical English and Italian precise. The Villa is now a highly respected and stunning 5-star hotel, while the vast garden is open to the public all year round and can be visited for a fee. The hotel and its park are located in a pedestrian area accessible through a scenic road, alternating by stairs, lots of stairs. They are considered among the most important examples of the English landscape and botany culture in the South of Europe. As a result of the strong influence of classical literature and the reinterpretation of the Roman villa, numerous impressive decorative elements from all over the world were placed in the gardens, such as fountains, nymphaea, statues, small temples and pavilions. The long central path, which in May 1880 provided the backdrop to the famous horse ride by Cosima and Richard Wagner, ends with the “Infinity Terrace”, where the gaze of onlookers is lost in what Gore Vidal called “the most beautiful view in the world” and where Gregorovius said that one feels “the desire to fly”. If you are looking for inspiration, look no further than a walk through the stunning Gardens at Villa Cimbrone.